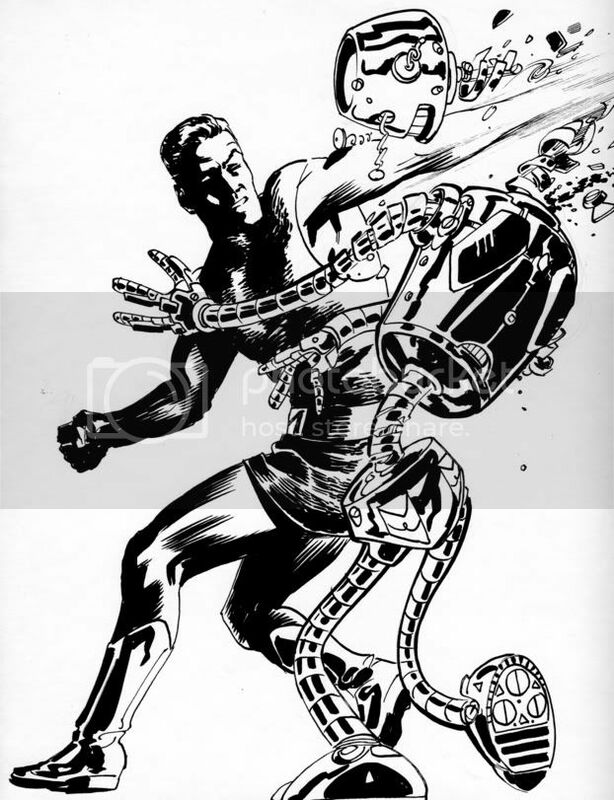 I'll try to get some more polished stuff up later this week, but until then here's another quick doodle out of my sketchbook of Magnus Robot Fighter! Dark Horse has put out two beautiful hardcover archives so far with the third scheduled for September. I was lucky enough to stumble onto a ton of the old Gold Key issues (along with some Turok and Solar) at a flea market in a five for a dollar box when I was kid, and let me tell you there's not a lot of things cooler to a seven year old than a guy that lives in the future who takes out robots with his BARE HANDS! Russ Manning was a genius, and saying he was ahead of his time is truly an understatement. If sci-fi isn't your thing though check out his Tarzan and see how a master does it.